Lares Home Care supports elderly veterans and their surviving spouses who seek VA funding for in-home care. As Veterans Day draws near, it’s the perfect time to alert those who may be entitled to a Pension with an added amount for Aid and Attendance from the Department of Veterans Affairs (VA). The money received for the VA’s Aid and Attendance Pension can be used for a home care aide from Lares Home Care, for help with: bathing, dressing, medication reminders, transportation, light housekeeping and more. Lares Home Care partners with Veterans Home Care to offer the VetAssist© Program, which helps eligible elderly seniors with all the paperwork, application process and ongoing VA compliance. throughout the year by offering the VetAssist Program,” says Roy Kleinert. 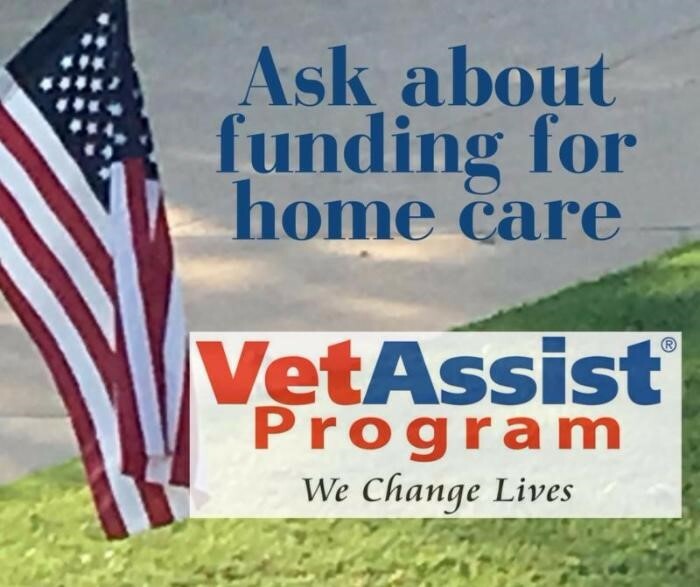 Home Care, pays for VetAssist Program services through an arrangement with Veterans Home Care. Home care can start right away for eligible veterans and spouses. receives a retroactive payment from the VA.